AFRICAN AMERICAN REPORTS: Local NAACP President is missing. Local NAACP President is missing. Liz Smith, the president of the Eureka, California branch of the NAACP, was listed as a missing person Monday afternoon, according to Humboldt County Sheriff’s Office public information officer Stacy Hanson. On Monday, May 15, 2017 at about 1540 hours, the Humboldt County Sheriff’s Office was contacted by a concerned friend of Elizabeth Ana Smith stating that Elizabeth was missing. Her friend was concerned for Elizabeth’s welfare due to her making statements that she possibly wants to harm herself. 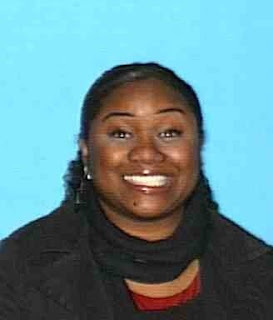 Elizabeth is descripted at a Black female, age 39, 5’3, 185 pounds with brown eyes and long brown hair. Elizabeth is associated with a 2007 black Lexus, Ca plate 5TYB663. Anyone with information regarding Elizabeth’s whereabouts is urged to contact the Humboldt County Sheriff’s Office.